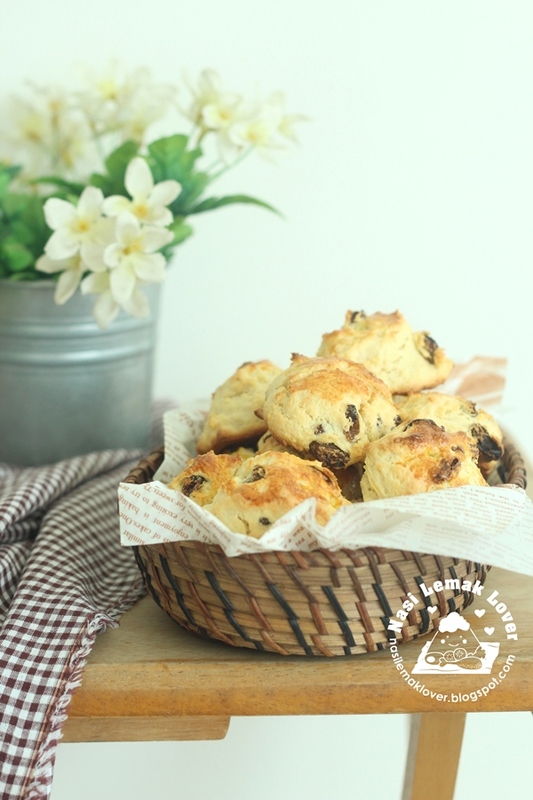 When i first tasted this raisin scones given by my friend, i was so impressed and i would said this is the best scone that i have ever had. 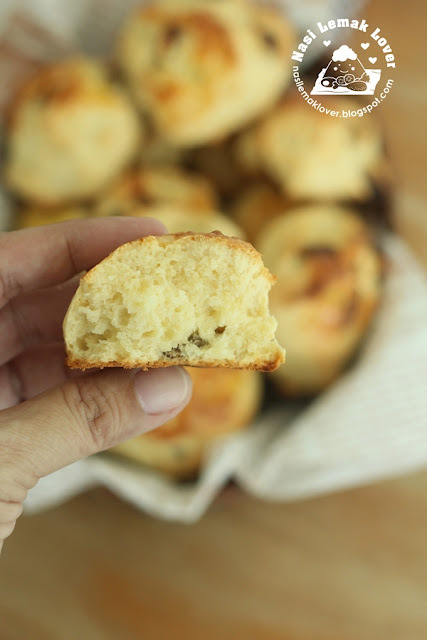 Buttery, crisp on outside, soft and fluffy inside, less sweet, so good. Thanks to my friend Jennifer so kind to share with me this wonderful scone recipe ! As for liquid in this recipe. 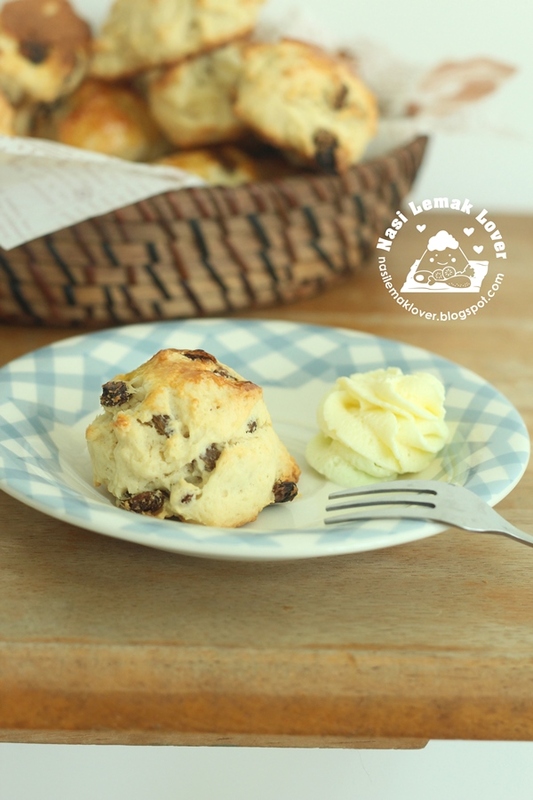 My friend had tried with milk, yogurt, whipping cream, and she said the best result is use Buttermilk !! If you have leftover scones till next day, best to toast it for a while, it will taste like freshly bake ! 1. 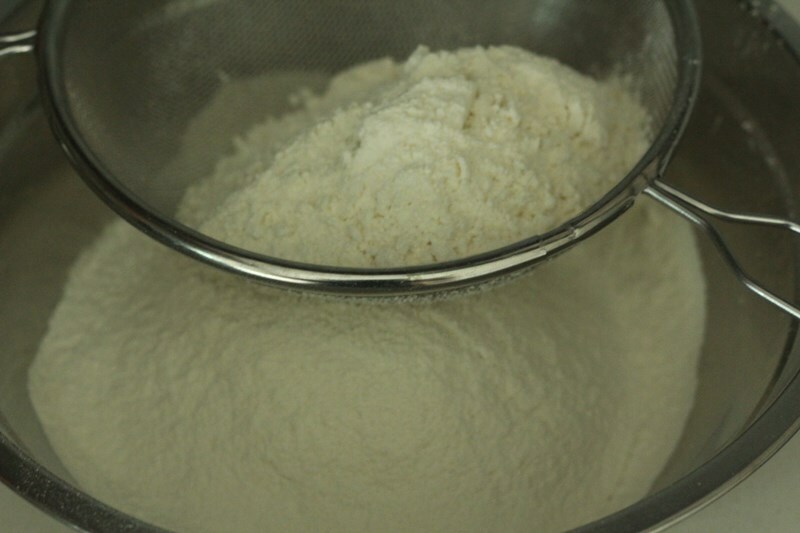 Sift flour and baking powder together, set aside. 2. Use a hand mixer, beat butter and brown sugar till pale and fluffy. 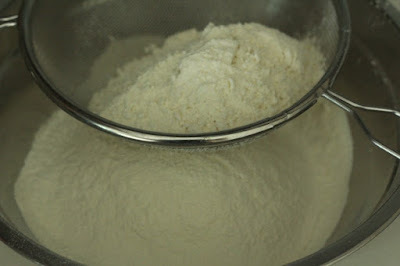 Add in egg, beat till mix well. 3. 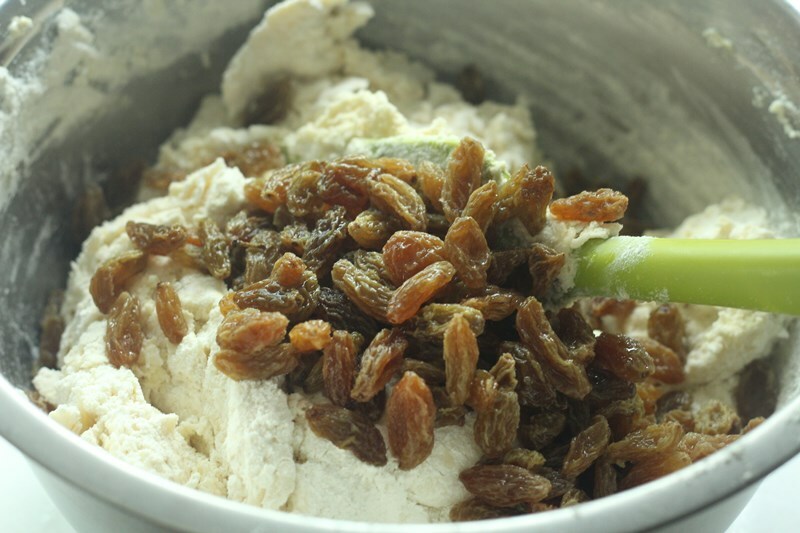 Using a spatula, add in buttermilk and flour alternately, add in raisin, mix until combined. 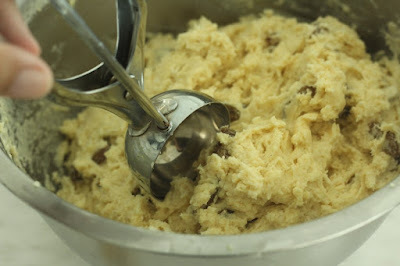 Last you can use hand to mix as to make sure all ingredients are incorporate and mix well till a soft and sticky dough, but do not over work. 4. 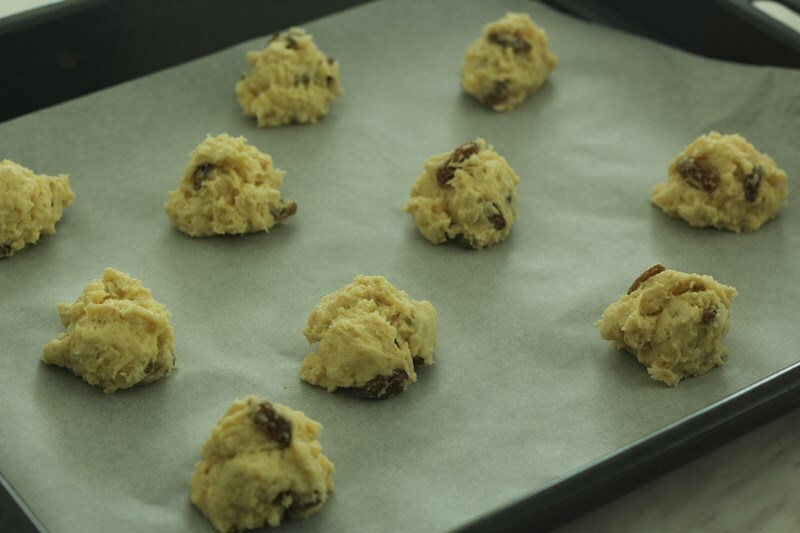 Use an ice-cream scoop ( you can use spoon or hand) to scoop the dough on a lined baking tray. Leave some gap in between the dough as it will expand. Egg wash the top. 5. 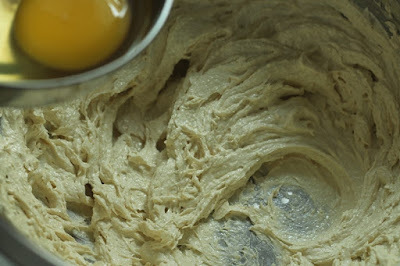 Bake at a pre-heated oven at 200C for 15-20mins or until golden brown. 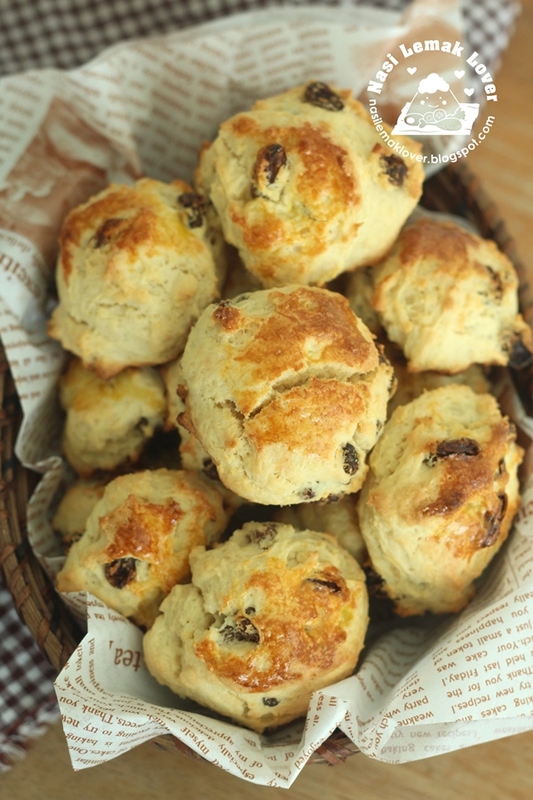 Sonia, these scones look so good. Its been awhile since I baked them. Craving ! 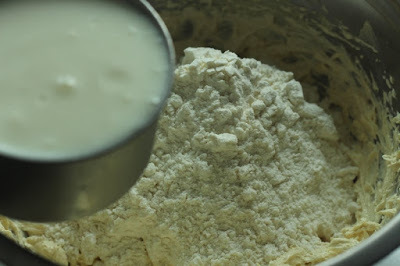 Hi Sonia, thank you for your sharing~ May i know what is buttermilk? where can get it? Hie Sonia, do you think can freeze and keep the dough in freezer for future bake? Or freeze the baked scones and re-heat later? 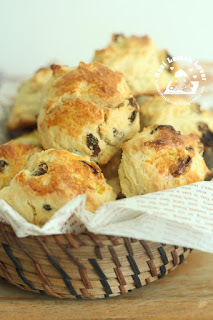 Does these two method will alteres the taste and texture of the scones compares to the freshly make and bake?? 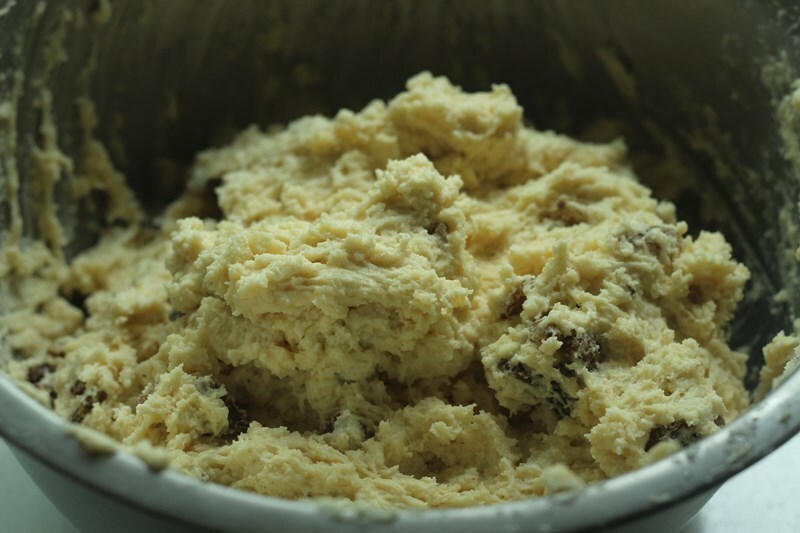 P/S: Always enjoying your short video clips on your instagram stories, especially all sorts of cooking/baking method which added to your recipe a clearer method of hands-on. 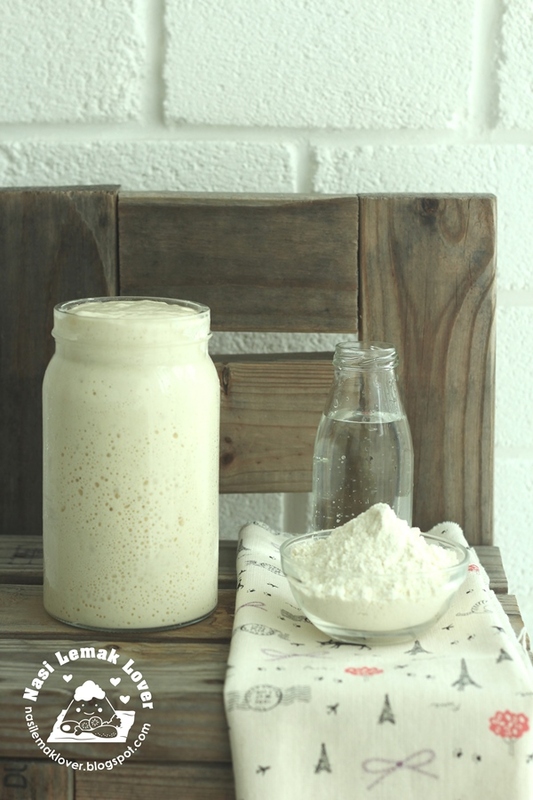 Hi pei wen, buttermilk is the liquid left behind after churning butter out of cream. You can get it at any major supermarket, usually at butter and cream cold storage section. 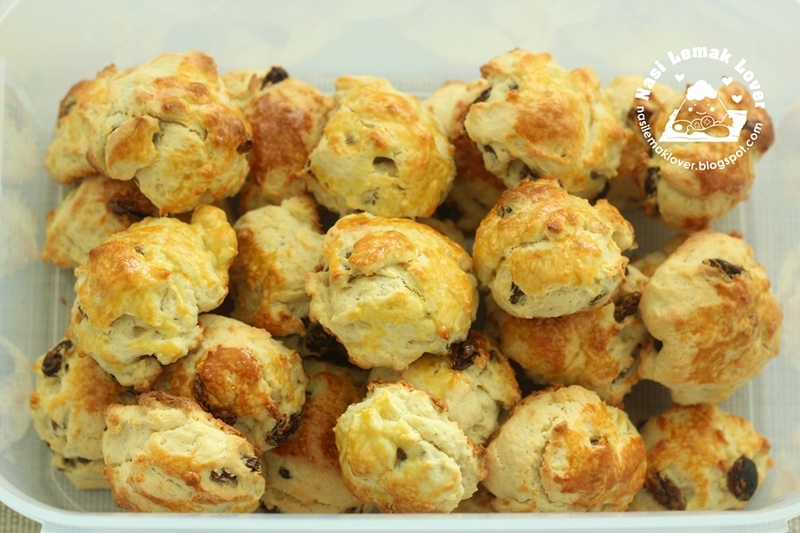 Hi Maedecx, better to freeze the baked scones , defrost then toast it and it will taste like freshly made. If you do not planning to store it longer, actually you can just store in the fridge, take out and toast it before enjoy. Christine, just room temp water will do. Isabella, you can use plain yogurt instead. Hi Sonia, I tried it with plain yogurt , I need to use 2 cups to get it sticky, but I find that it doesn't rISE very high, do I need to increase the baking powder?? 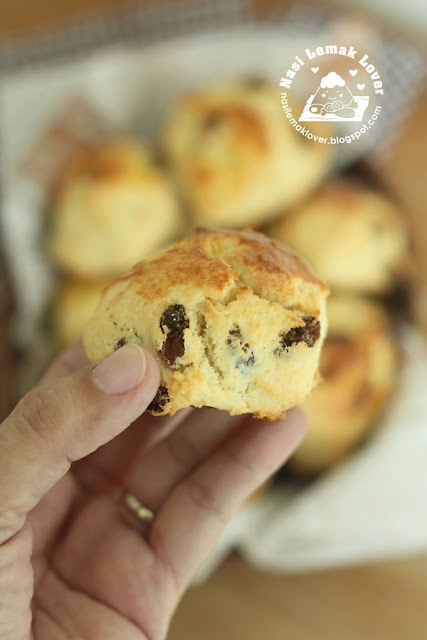 I have always loved scones. The first time I ate them was at Cameron Highland, and I found them delicious. They were plain scones, and I remember thinking that they would be good with this or that ingredient added. Hi I don't have brown sugar. 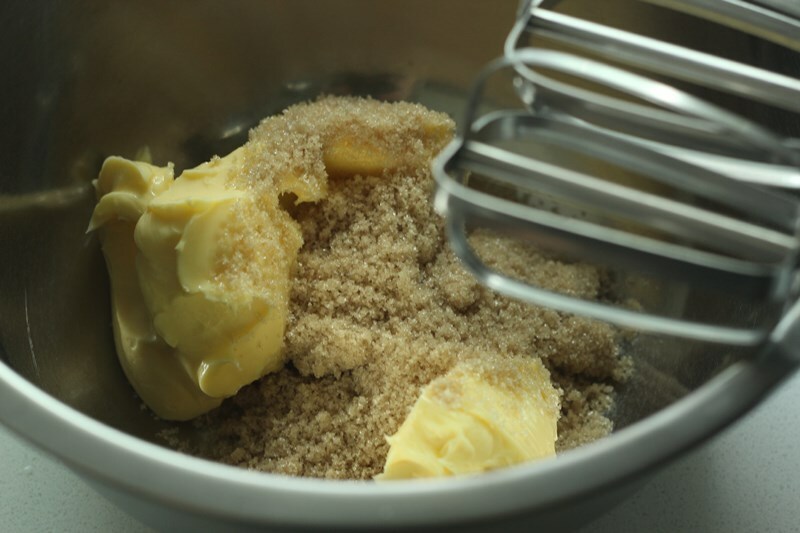 Can I substitute with raw sugar?